Not sure what you’re waiting on. See, here’s the thing. I don’t have everything figured out. I’ve never been out to try and convince people that I”m some oracle guru who has all the answers. I do, however, have many solutions to problems that I’ve encountered in life. I know what worked for me, and I’m all about sharing that information with others. I want to encourage you to get to the next level in your life. Perhaps some of what I’ve learned can benefit you. With all the sales related junk that clutters your inbox, why not fill it with a bit of motivation mixed with some tips and tricks. By getting into the Inner Circle, you’ll be getting my BEST content. We’re talking downloads, PDFs, books, videos and an exclusive weekly podcast. You’ll also be added to my exclusive newsletter. Fill out the form below, and I’ll make sure you get a password with access. Don’t delay, sign up now! 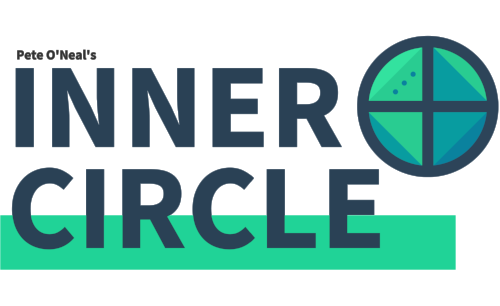 Sign up with your email address to be added to the Inner Circle as well as receive news and updates. We respect your privacy. We’d never sell your info to a 3rd party.